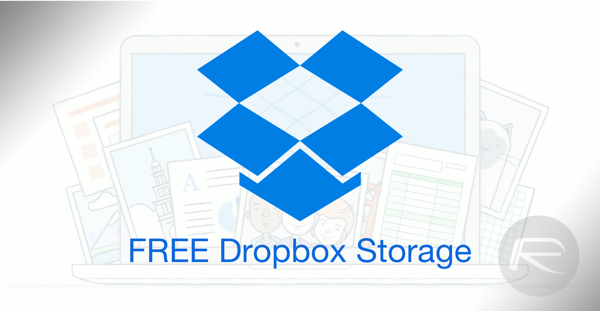 Want to get maximum free Dropbox storage space for your account? Here’s how you can, and you’ll end up with plenty of it without even spending a dime. For more details, head past the jump. One of the easiest and convenient ways of getting free extra storage, existing Dropbox users can simply refer friends to join the service through a shared link which adds 500MB to you and your friend’s account. The option is exhausted once you’ve gained 16GB through it. Step 2: You can now invite all your Gmail contacts, or send out invites by manually entering email addresses. Alternatively, users can share a link through which anyone can join up. 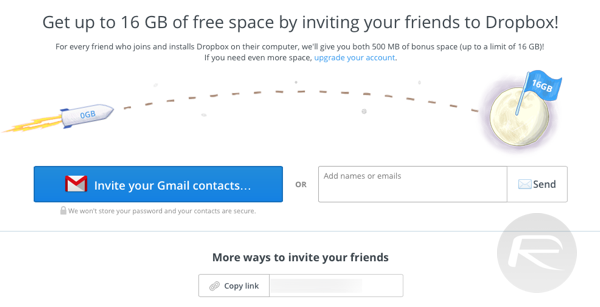 By connecting Dropbox to your Facebook or Twitter accounts, you will be able to receive 125MB as an additional bonus for each account, so that’s 250 megs of space in total. To do this, head over to dropbox.com/getspace and click on the Facebook and Twitter tabs. 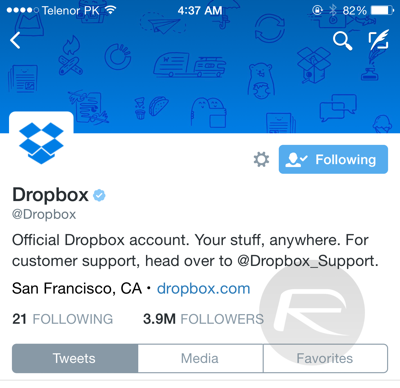 By doing this, you will be prompted to authorize Dropbox for accessing your information on Facebook and Twitter. A third-party email client, which was recently acquired by Dropbox some time back, the app is available to download for Mac, iOS, and Android. Step 2: When you launch Mailbox for the first time, you can link your Dropbox account to the app straight away, and then add your Gmail or other email credentials, or you can do it the other way around as well. This should help you gain 1GB of bonus storage. This app has replaced the Camera Upload bonus that was once offered with the Dropbox app for Android. Carousel is available for both iOS and the Android platform. Step 1: Download the Carousal app from the App Store or Play Store for iOS and Android, respectively. 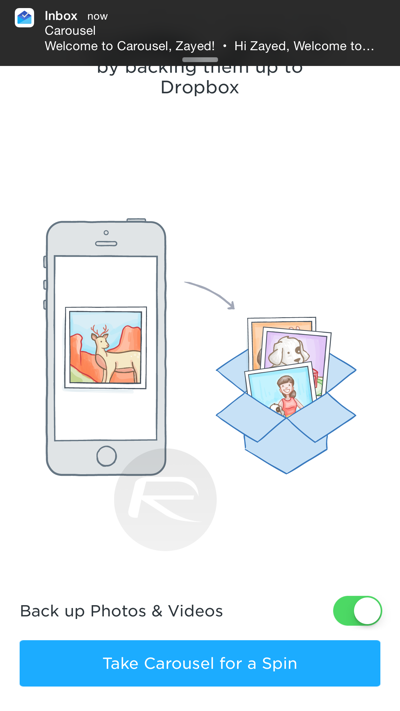 Step 2: Run the app and simply sign into your Dropbox account, and make sure you allow Carousel to backup your photos and videos. One of the easiest bonus storage you can earn. When you run the Dropbox app on your smartphone or tablet for the very first time, simply complete the introductory tour, and you will get free 250MB of storage straight away. If you use Twitter, then this the easiest way to gain some free storage space. Simply follow the official Dropbox account on the 140 character social network – @Dropbox – and you’ll earn 125MB of storage space instantly. Simply tell Dropbox why you love their service and you’ll be granted 125MB of free storage there and then. Step 2: Click on ‘Tell us why you love Dropbox’. Step 3: Once you’re done jotting down your thoughts, hit the ‘Send to Dropbox’ button. 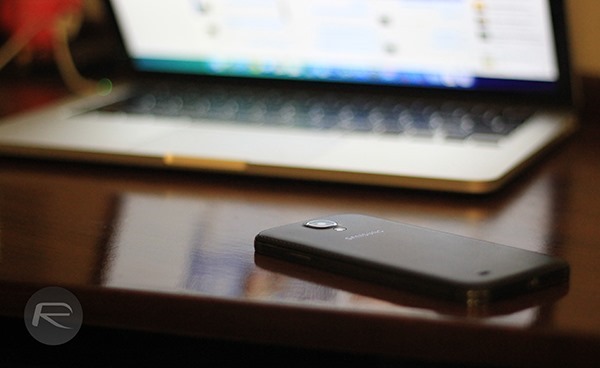 Samsung devices launched after fall 2014, with the Dropbox app preinstalled, are eligible for 48GB of free storage in addition to the starting 2GB which comes bundled with Dropbox. Additionally, “Devices launched between 2012 and 2014 that have the Dropbox app pre-loaded with the ‘out-of-box’ experience” are eligible for the same promotion as well. However, Note 4 from AT&T is only eligible for the 48GB storage for 6 months only. Meanwhile brand new HTC devices with Sense 4.0, Sense 4.x, or Sense 5.0 were eligible for 23GB of promotional storage for two years, but the offer expired on the 31st of December 2014 last year. Keep one thing in mind though, you can only claim that free storage space using an eligible Samsung or HTC smartphone just once. In other words, you can’t sign in or out with different Dropbox accounts to keep on claiming free storage space. I’ve got 50gb of free storage from Dropbox just from uploading. The more you use it the more they give you. why use all that time on Dropbox? OneDrive gives you 10 GB at the start, by uploading a photo you get 5 GB more, if you have 365 you’ll getting 10 TB more, and later on, alle with 365 gets free storage… with other words, NO LIMIT! Why use DropBox? Simple. It is the cloud version of data storage like Skype is for video chat. Both give free universal access keys that pass any complex password for all accounts to law enforcement under the guise of “national security”. One Drive is just as bad. If Microsoft or Dropbox actually cared about personal security, and privacy, they’d delete those universal keys, and actually prevent any employee or member of law enforcement to ever be able to access a user’s data, including meta data. In many ways, direct access to meta data is worse than just content. Many security experts all agree with that. The blanket excuse of “national security” is garbage. I’d rather be actively in charge of managing my personal data with my own encrypted cloud service than go the easy lazy route of ever trusting Skype, DropBox, Microsoft, or Google. I’d trust any of them as far as I could pick any of them up and throw them. i installed carousel but i didn’t get any storagre does anyone know why ? Well yes and now.. when I bought my Note 4 the extra bonus space was only available to NEW USERS. So I had to register a new account (just used the same gmail account but used MyEmailAdress+Dropbox@gmail.com.. so that all the mails from both DB accounts were sent to the same gmail adress..
Do you mind sharing a link that shows how to accomplish this?